Looking to capitalize on his current street buzz, dancehall deejay Iyara will be shooting the video for his latest hit single "Hustlin" over the weekend. According to Iyara it will be a two day shoot with multiple locations in and out of town. "Well the single Hustling has been in heavy rotation since it was released, currently its # 18 on the Dancehall Top 20 Charts so we decided the time was right for a video. On Saturday we will be doing the first part in Portland which is where i'm from and then on Sunday we gonna be back in town to shoot the rest of the video". Still heavy in the studios Iyara is expected to drop a few more singles before year end. 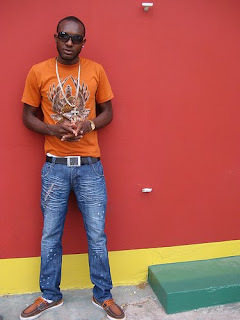 "Well right now we gonna be doing some more work with PayDay Music, my song "Got Alot Of Love" which is on his Honey Comb Riddim has been getting some positive feedback especially from the ladies so we wanna continue that trend".